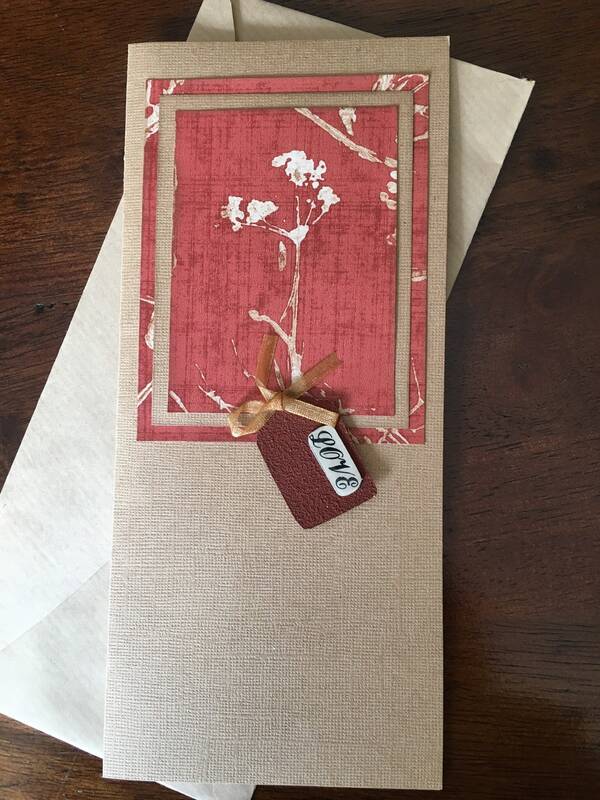 A sprig of baby’s breath flower on this vintage wallpaper is focal point on this handmade card embellished with Love tag and ribbon. Give it to your sweetheart or family and add your own message inside. Handmade coordinating Kraft paper envelope included.